Sitting in a meeting Friday, I was struck with a problem that needed solved quickly: we have a land cover classification being done by a third party for which we will have a team of more than a dozen entities doing some validation of the data. We could print out paper maps for them, but that seems labor intensive and expensive. So, I proposed we put together a site that allows each entity to go through each of the validation points one-by-one and populate the human-interpreted classification for each. The twist in the problem space is this– we have less than a week to deploy the solution, it needs to have authentication baked in, and it needs to be easy to use. 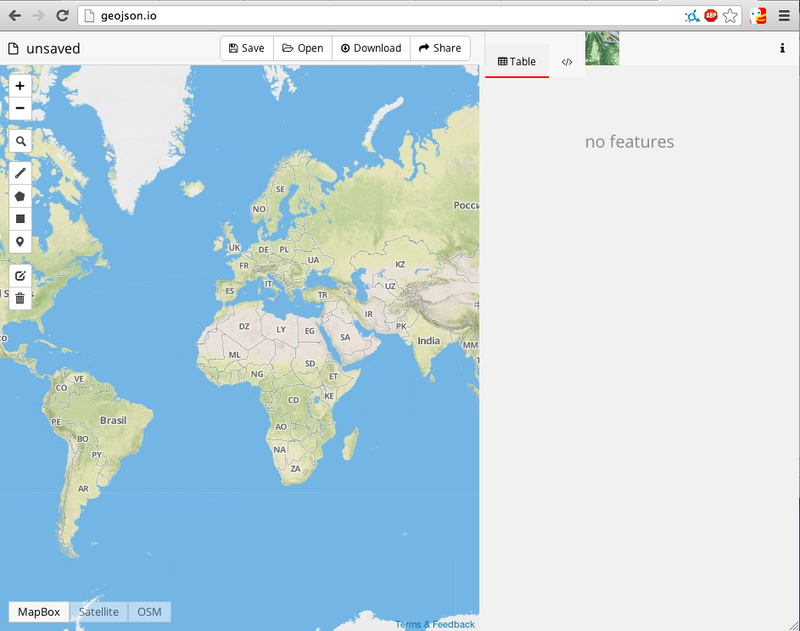 Enter geojson.io, “A fast, simple tool to create, change, and publish maps”. I’ll say. Let me walk you through. First, we can choose to login using github, so authentication is baked in. When I use this for the project, I’ll have a geojson GIST ready to go, but for demonstration purposes, I can just drop points using the “Draw a marker” tool. 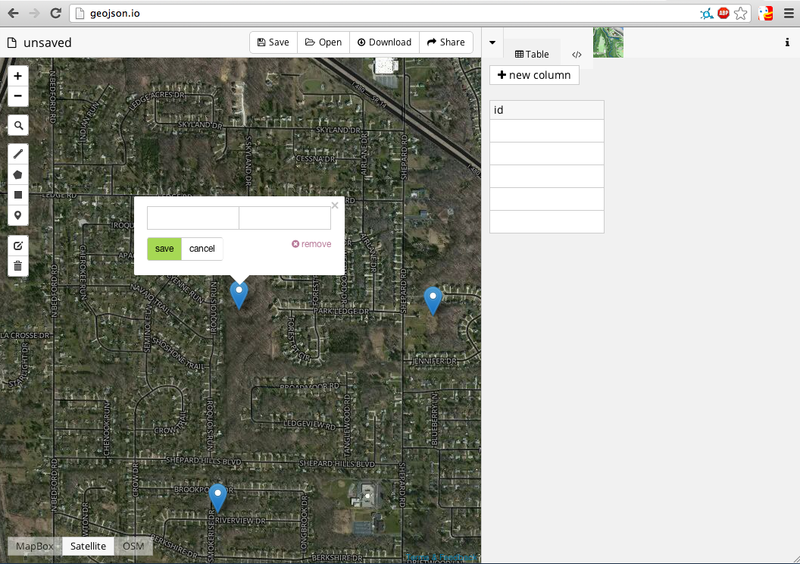 After adding the points, I can add fields to my table. That should probably be in quotes– this is JSON, so there are only key value pairs, no table per se, but it’s quite nice that the interface treats it as a table with nulls when a column is added. Now I can send my GeoJSON to my end user, and have her click in each of the points, zoom in to identify what she sees, and code it in the land cover column, and then share it back with me. As a bonus, we’ll get a few more folks working in the public sector their first experiences working on GitHub. 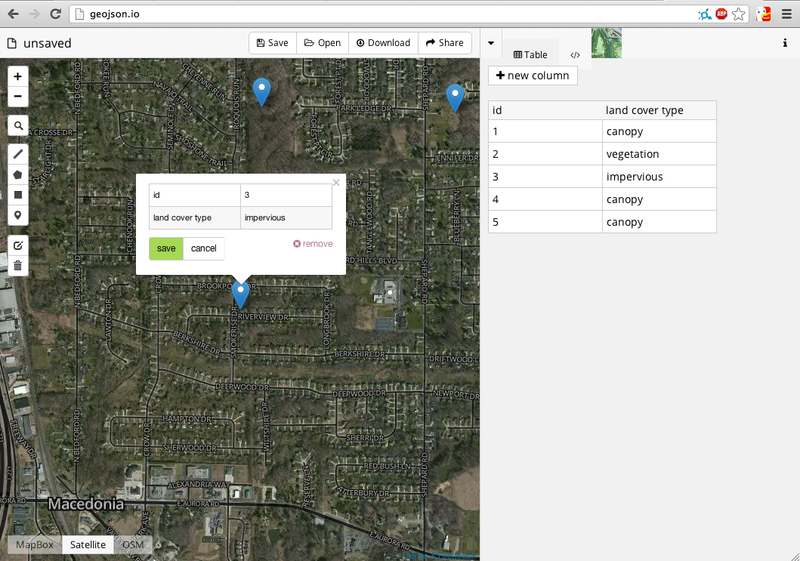 Thanks to MapBox and GitHub for their great tools. Now I just need to clone, host, and change out the base layer in the project with a leaf-on aerial… . Hopefully that’s as smooth a process.